If you want to Import MRSS then click on Import MRSS Button. It will open of to the below shown image. A MRSS is a link which provide media feeds in xml format. To check a sample MRSS you can click here. 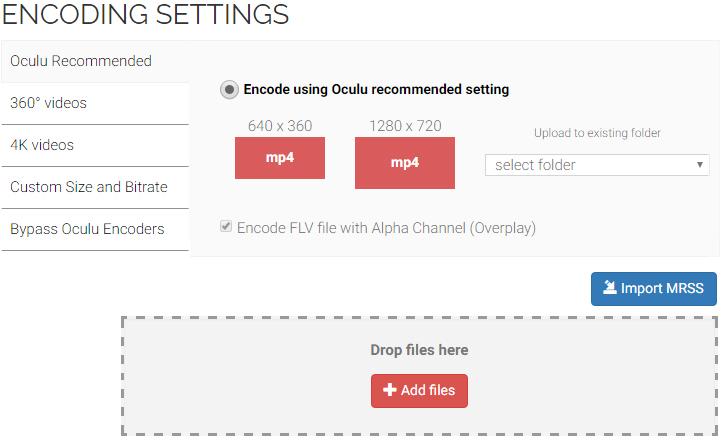 Select this option to define a specific pixel size for the Oculu encoder. Next choose the desired bitrate. Create you own encodes for direct hosting by Oculu. This setting bypasses the Oculu encoder.